Naturally shiny hair, vibrant colored hair, a soothing scalp ... you dream? 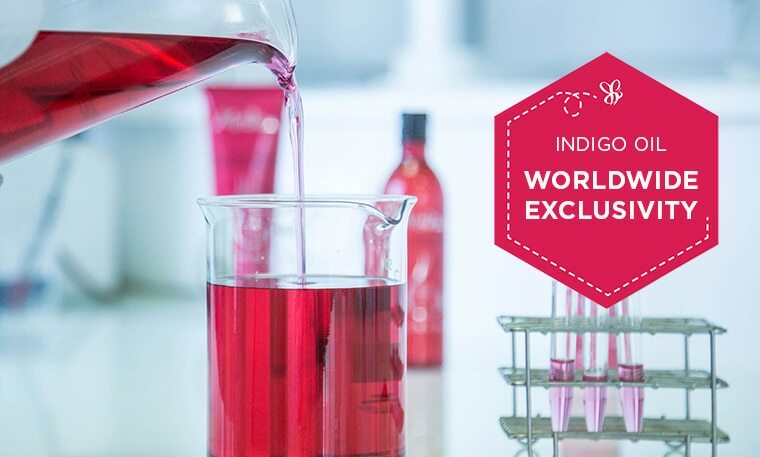 We reveal all the secrets of indigo bio: innovation, provenance, natural benefits ... and the reason why your hair will love it! The Indigo Persicariae, also known as Polygonum tinctorium, is an annual plant native to Japan. Much appreciated by the dyers, it is mainly exploited for the coloring molecule it produces, indigotine. Imported in France in the 18th century, the persicaria indigo was reintroduced in Provence in 2001. It is in the Luberon region that, since 2014, it is entirely cultivated in organic farming, guarantee of respect for the natural development of the plant: it is indeed to protect itself from insects and solar radiation that it produces blue. Did you know ? This blue powder of indigo bio, from Provençal and French production of very high quality, also has very interesting cosmetic properties. Let's see them in detail. The first indigo oil is born! Drawing on its expertise in beauty oils, and following three years of research, Melvita has developed the very first organic indigo oil. After proving its effectiveness on the hair and scalp, Melvita Research incorporated indigo oil into its new "Expert Hair Care" range. For color-treated hair, but that's not all ! Indigo oil successfully maintains the color and radiance of color-treated hair for up to 12 shampoos. * It leaves the scalp feeling soothed when damaged or weakened by color treatments and, when used on uncolored hair, it improves shine. Our certified-organic oil is made by processing the leaves of Polygonum tinctorium from Provence. The Couleurs Végétales de Provence association grows these plants in the heart of the Luberon region – a land of colors with a tradition of dyeing. The blue pigment obtained from the leaves is very pure and rich. Blue indigo powder is extracted from the green leaves of Polygonum tinctorium using a process inspired by traditional methods. It is then transformed into an oil in a way that is 100% natural and does not require the addition of any synthetic ingredients. This ecological oil extraction takes place at a very high temperature, and that's when the magic begins… The blue color disappears and the indirubin pigment reveals its pink shade! The beauty industry has never seen indigo powder transformed into an oil! The green extraction process used to make it was developed exclusively for Melvita and is protected by a patent filed in France. There are no CO2 emissions and no waste – so it's good news for the environment! * Ex vivo effectiveness test based on 12 applications. HOW TO USE INDIGO OIL? 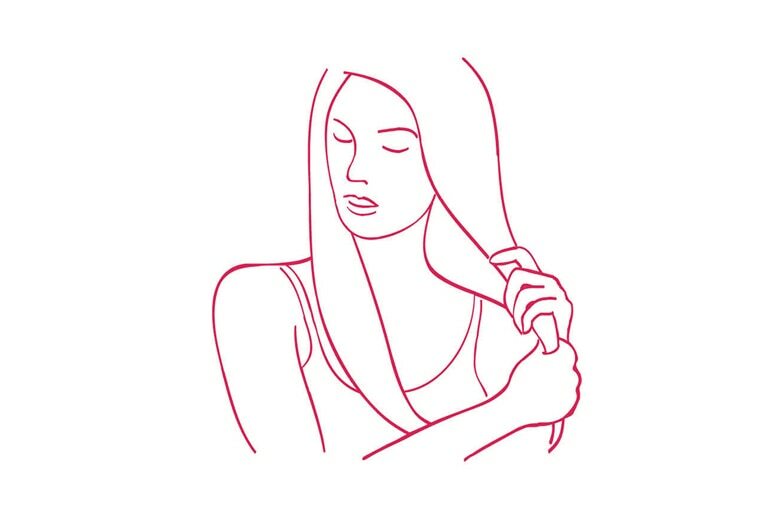 Drop the necessary amount of oil into the palm of your hand and apply the oil to dry hair on the lengths and ends. 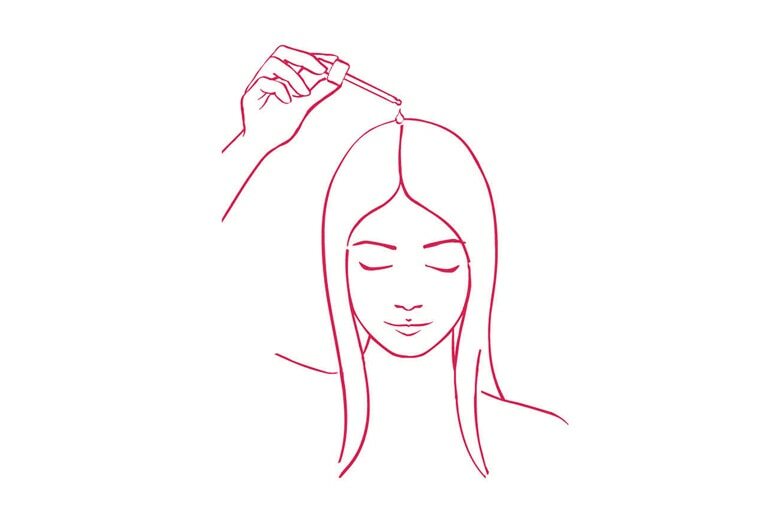 Apply a few drops of oil to the scalp using the pipette and gently massage the scalp with your fingers in small circular motions.